With a Zero Frame design, the G247HYU smidp 23.8" 16:9 Zero Frame IPS Monitor from Acer offers enhanced visuals by nearly eliminating the distraction caused by large bezels. 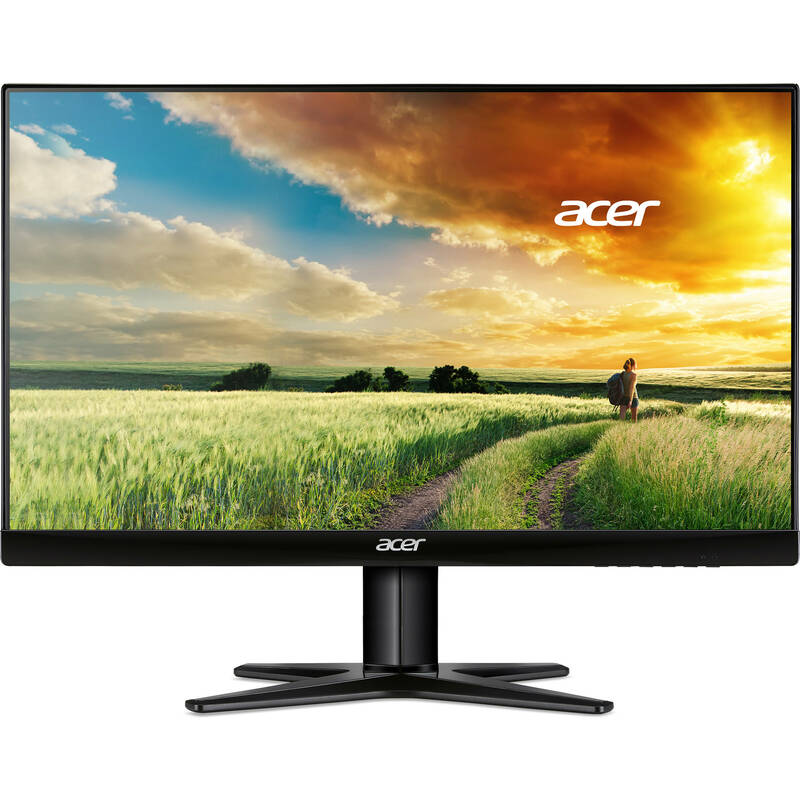 In addition to the reduced size frame, this G7 Series monitor features a WQHD 2560 x 1440 resolution, along with a 4 ms response time and 300 cd/m² brightness rating. The IPS (In-Plane Switching) panel ensures the display can be viewed from nearly any angle, while the Adaptive Contrast Management feature offers deeper dark colors and brighter light colors for a more dynamic picture. Setting up the display is simple as it comes equipped with DVI, HDMI, and DisplayPort inputs, as well as built-in speakers for a complete multimedia experience. This display has an environmentally friendly design that focuses on recyclability, low power consumption, and more. Additionally, this monitor is MPR II certified. Whites are whiter, blacks are blacker, and more detail is revealed in the shadows with Adaptive Contrast Management. A 2560 x 1440 resolution in a 16:9 aspect ratio gives you four times more detail than the 720p HDTV video standard. Enjoy more screen and less distraction with this frameless design. Box Dimensions (LxWxH) 23.8 x 15.4 x 4.5"
G247HYU smidp 23.8" 16:9 Zero Frame IPS Monitor is rated 5.0 out of 5 by 2. Rated 5 out of 5 by Lawrence from Good value for high-resolution. Good monitor, works as it should. A bit of a problem for me was finding that the Mac Mini I was attaching it to can't DO any resolution higher than 1920x1080 from its HDMI port, and my mini-displayport adapters were also all limited to that, so I had to get a new adapter cable (MDP to DP) to get the full resolution of the display. Had I done more research in advance that would not have been a surprise - live and learn. While there is some frame, (despite the name) it's quite small, and the pictures on the website accurately show that. Speakers are not impressive, but it's a monitor, not a stereo - they work OK, but serious sound would call for a dedicated sound system. Rated 5 out of 5 by Grant H. from Great monitor- Clear and Bright I am pleasantly surprised with this monitor for the price. The Colors are night and the text is clear. Not as clear as 4k, but better than 1080. Also, the monitor comes with a good quality DVI and DisplayPort cable, which is great because a DP cable can cost over $20. The only con I can think of is that the stand is a little wobbly, but for the price I can complain too much. Yes, it separates into 3 pieces.